My client who is an active lifestyle coach wanted a price calculator on her webpage. She planned on selling multiple products with different product pricing. Her clients could add the desired quantity they wanted to purchase. Based on the Shipping method and the State where the products were to be delivered, the estimator had to calculate the total price. Below is a price estimator I created as a prototype. The estimator was later tweaked and used on my client’s business page. Create text fields for the user to input the quantity for each Item. Make sure each text field has a unique ID. Set the tax based on the location where the products need to be shipped. Set the shipping and handling fee based on the method selected by the user. On form submit event, calculate the total using a lot of math. Display the final results as the value in the Text Field created for this purpose. Sample html code to setup the input fields. 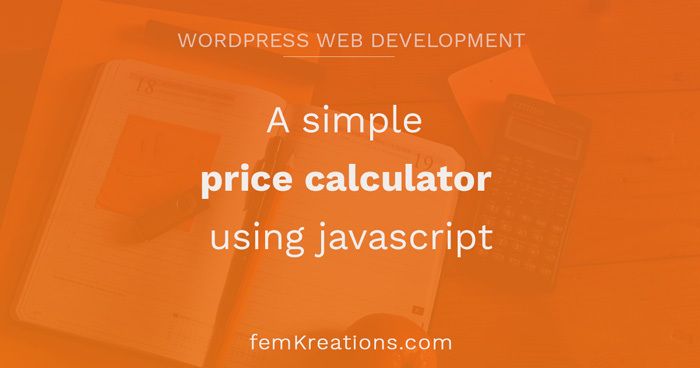 I’d love to know to hear from you: Did you run into any code challenge when you built a price estimator on your web page? Hi, I'm Femy Praseeth. I build custom WordPress websites focused on accessibility & performance for purpose-driven organizations. And an inclusive web experience for your users. On my blog, you'll find articles about WordPress, Accessibility, CSS, and Web Maintenance. You'll also find tutorials about my Personal Projects. Femy has incredible attention to detail and is a pleasure to work with. Her design and programming skills are top notch. 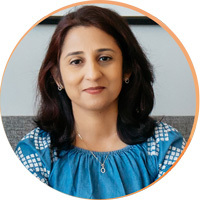 She is definitely one of the best web developers that I have worked with, and she’s made my job easier. I'm Femy. I build custom WordPress websites focused on accessibility & performance for purpose-driven organizations. And an inclusive web experience for your users. Send me a message to find out how we can work together.